A collection of net resources about Bobby. Alternate mirror site located here. Artist Steve McQueen's debut film Hunger - about IRA hunger striker Bobby Sands' final days - has won the Camera d'Or prize at the Cannes Film Festival. The award, given out each year to first-time film-makers, was given to McQueen by US actor Dennis Hopper. "The film is about people in a situation of extreme pressure and what people do and what we do," McQueen told the festival's closing ceremony. 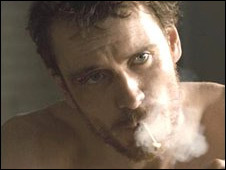 Hunger stars Michael Fassbender as Sands, who died aged 27 in 1981. The actor had to go on a medically-supervised diet to portray Sands, who refused food for 66 days in the Maze prison in a bid to be recognised as a political prisoner. The film does not yet have a UK release date. An earlier film on Sands' life, Some Mother's Son, caused controversy when it screened in Cannes in 1996. Director McQueen, who won the Turner Prize in 1999 for a collection of films which included a Buster Keaton-style silent movie stunt, told the BBC earlier this month he was inspired by the memory of seeing Sands on TV news bulletins when he was 11. 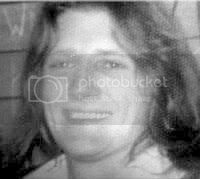 "There was this man called Bobby Sands whose image appeared on TV with a number underneath it," he recalled. One scene features a conversation between Sands and a Catholic priest about the decision to go on hunger strike. Filmed in one continuous 10-minute take, it was shot on the first day of filming in Northern Ireland and took Fassbender and co-star Liam Cunningham four attempts to complete. Hunger was co-written by Irish playwright Enda Walsh and co-funded by Northern Ireland Screen and the Broadcasting Commission of Ireland. The Irish government's arts minister Martin Cullen said it was the third year in a row that an Irish-backed film had been successful at Cannes. He added: "Following the success of The Wind that Shakes the Barley and Garage, this Camera D'Or will keep Irish film practitioners in the world's eye for the foreseeable future. "This film covers a very turbulent part of our history with an unadorned reality and reminds us of how far we have come as an island in the last quarter century." British movie Hunger has opened at the Cannes Film Festival to positive reviews. Directed by Turner Prize-winning artist Steve McQueen, it takes an uncompromising look at the last six weeks in the life of IRA hunger striker Bobby Sands. For six weeks in 1981, Sands went without food in an action initiated to demand special status. IRA prisoners wanted to be treated as political prisoners, not criminals. The demand was given short shrift by Prime Minister Margaret Thatcher, who said there was "no such thing as political murder, political bombing or political violence". "There is only criminal murder, criminal bombing and criminal violence." After 66 days without food, Sands died at the Maze prison in Northern Ireland at the age of 27. A terse statement from the Northern Ireland Office read: "Mr Robert Sands, a prisoner in the Maze, died today at 1:17am." Attended by his family, he had been in a coma for 48 hours before being pronounced dead by medical staff. His story, which had dominated papers and news bulletins for two months, stuck firmly in the mind of an 11-year-old living in West London. That child was McQueen, who went on to win the Turner Prize in 1999, beating Tracey Emin and her notorious stained, unmade bed. The artist and film-maker says he never forgot the story of the Republican prisoner's struggle. "There was this man called Bobby Sands whose image appeared on TV with a number underneath it," he recalls. Now McQueen has turned the story into a film, his first feature, that opened the Un Certain Regard section of the Cannes Film Festival on Thursday night. One scene in the film is likely to dominate people's minds - a conversation between Sands and a Catholic priest about the decision to go on hunger strike. Filmed in one continuous 10- minute take, it was shot on the first day of filming in Northern Ireland and took actors Michael Fassbender and Liam Cunningham four attempts to complete. McQueen likens the interplay of these two key characters to Jimmy Connors and John McEnroe's legendary Wimbledon finals of the same era. "The audience was sat there not knowing which side to go with, not knowing who was going to have the advantage or disadvantage. "They, in some ways, would be involved in the conversation just as much as the characters were." As the film reaches its conclusion, the audience's experience becomes more and more unsettling. Shots of Sands' skeletal figure, ravaged by hunger and covered in sores, are some of the most challenging in recent memory. Fassbender went on a medically monitored crash diet to film the scenes, much to the horror of those around him. "After I started putting weight back on, my doctor told me that the last time I'd been in, the receptionist came up to him and said 'he's really ill isn't he? He's dying of cancer or something,'" he recalls. "It was weird, because I was kind of happy when I heard that." By focusing so heavily on the story of Sands and his fellow hunger strikers, the film is likely to face accusations of being partisan. McQueen, though, says that is "not his point", adding he is interested in the "dilemma" of people using their bodies as a political weapon. "As a film-maker, what one wants to do is raise those sorts of questions," he says. "The universal subject which I'm interested in is someone who, in order to be heard, doesn't eat." Fassbender agrees there are modern parallels to Sands' story in Abu Ghraib and Guantanamo Bay. The idea of using the body as a political weapon, meanwhile, has been used to devastating effect in the Middle East, London and New York. But he hopes the film will not renew old tensions in Northern Ireland. "There's a fantastic atmosphere up there at the moment," says the actor, whose mother comes from the coastal town of Larne in Country Antrim. "It's really on the road to mending all those years of strife and troubles." While tackling such a weighty subject might have proved daunting for many first-time directors, McQueen enjoyed the challenge. "Sometimes its great to be that little bit naïve in what you do, the reason being you have no fear," he says. Additional reporting by Mark Savage. A film about an IRA hunger strike in a Northern Irish prison has won an international award. Hunger, which focuses on life at the Maze Prison and the hunger protest in 1981, received the Camera d'Or at the Cannes Film Festival. 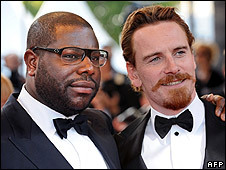 It is directed by London-born Turner Prize winner Steve McQueen and stars Irish actor Michael Fassbender as IRA prisoner Bobby Sands, the leader and the first to die in the Maze prison hunger strike. Co-producer Laura Hastings-Smith, who worked alongside Robin Gutch, said: "We're all absolutely thrilled, and thrilled for Steve, thrilled for the film and for everyone who's worked on Hunger. "The key to the film was that it looked at the humanity of the story and how this place, Maze Prison, at that time in history, how it was a brutalising place for everyone - be you prison officer, prisoner, orderly or riot guard. "It was a tragedy for everyone. We looked at what happens when dialogue stops and that has a resonance across the world." The film was shown as part of the 'Un Certain Regard' section of the festival, which encourages innovative works and young talent. The film is set in one of the H-blocks at Maze Prison in 1981, where Republican prisoners were on protest. New inmate Davey Gillen (Brian Milligan) shares a cell with Republican prisoner Gerry Campbell (Liam McMahon) who trains him how to smuggle items and exchange communications, passing them on to their H-block leader Bobby Sands. The film tells how the rioting broke out and violence spread beyond the Maze. The IRSP held its annual hunger strike commemoration in Derry on Sunday amid a large scale security operation mounted by the PSNI. Around 300 people, including relatives of dead INLA volunteers, marched from the Rosemount factory to the republican socialist monument in the City Cemetery. Two PSNI landrovers drove at the front of the parade while four more followed behind with more PSNI officers lining the route of the march. Landrovers could also be seen on roads leading to the City Cemetery, which has been the scene of disturbances at previous republican commemoration events. A police helicopter flew overhead throughout the event. At the commemoration, which was held to remember the ten hungerstrikers who died in Long Kesh in 1981 as well as INLA volunteers from Derry and Tyrone, wreaths were laid at the graves of local republican socialists, including Patsy O'Hara and Mickey Devine. Leading IRSP member Paul Gallagher from Strabane gave the main oration at the event and said the Republic the hungerstrikers died for is now further away than it was in 1981. "Sinn Féin now sits on the Stormont executive that they once proclaimed should be smashed. They now advocate support for the Police Service of Northern Ireland that they once said should be disbanded. On the economic front, workers are paid less in Derry than in the rest of the North, unemployment is rising, manufacturing plants have closed down, fuel prices are rising, food prices are rising, taxes are going up, water charges are coming in and, at the same time, services are diminishing. Stormont has done nothing for the people of the North except invite American investors here whose only aim will be to see how much profit that they can squeeze out of Irish workers before they scuttle off somewhere else when the incentives dry up," he added. Mr Gallagher also told the crowd to re-double their efforts to build a republican socialist alternative. Wreaths were then laid on behalf of the INLA, the IRSP, the family of Patsy O'Hara, the 32 Country Sovereignty Movement and Oglaigh na h'Éireann. The event ended with the national anthem being played by the Seamus Costello flute band. Commenting on the security operation, PSNI chief inspector Chris Yates, said he was pleased with peaceful outcome of the march. "The event was well organised and we had no problems with it. That bodes well for future events. There were a few incidents of stone-throwing, these were of a low-level and I'm satisfied they were not connected with the organisation of the parade," he said. A controversial film documenting the final weeks of IRA hunger striker Bobby Sands has been defended by its makers at the Cannes Film Festival as a useful insight into the mindset of suicide bombers. 'Hunger', a 96-minute film by Steve McQueen, tells the tale of Sands, who died on hunger strike at Maze prison. The film has drawn criticism for creating a hero out of a terrorist. But Jan Younghusband, executive producer of the film, said the harrowing story merely exposed the mentality of someone ready to die for a cause, such as the London suicide bombers. "You look at suicide bombers and wonder what it is that drives them to kill themselves in their attempt to make the world better. This is a very contemporary issue, destroying your body for something you believe in," she said. "We look at terrorists and we think 'aren't they horrible, they are blowing us up'. But we have to ask 'What is our role in that?' We are not without responsibility." The gritty drama, the directorial debut for Turner-Prize-winning artist McQueen, focuses on the last six weeks of Sands' life. Jailed for possessing a gun, he became an icon in the Republican movement when he died in 1981 at the age of 27 after 66 days on hunger strike -- a protest at prisoners losing their political status. Sands became an MP 25 days before he died; his death prompted several days of riots in nationalist areas of Northern Ireland and drew 100,000 people to his funeral. Some have suggested the film's release is likely to rekindle bitter feelings in Belfast. Sands' family have been invited to see the film but have declined the offer of a personal screening. McQueen, whose recent work includes a series of postage stamps bearing the faces of dead soldiers who had served in Iraq, said: "The body as site of political warfare is becoming a more familiar phenomenon. It is the final act of desperation; your own body is your last resource for protest." The film's Dublin-born writer, Enda Walsh (best known for 'Disco Pigs') spent several weeks interviewing Sand's fellow prisoners and prison guards. Its makers say the story draws a parallel between IRA prisoners in the Maze, and those currently in Abu Ghraib prison and Guantanamo Bay. 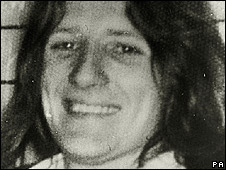 Bobby Sands, the subject of the controversial new film Hunger, shown at Cannes, is hardly a hero to everyone in Ireland, but to republicans he is a potent symbol of self-sacrifice. While republican factions continue to debate whether he would have supported the present peace process, they are united in regarding him as a martyr who died an agonising death for their cause after a 66-day hunger strike. The film, the debut feature by the Turner prize-winning artist Steve McQueen, pulls no punches in its portrayal of the bitter dispute between prisoners at the notorious Maze prison in Northern Ireland and the Government. It details the last six weeks of Sands's life. He died aged 27 in 1981 during IRA protests over the political status of prisoners. Michael Fassbender, who plays Sands, starved himself for two months in preparation for the role. With little dialogue, vivid images of prisoners being beaten and one 22-minute shot, the film is both controversial and innovative. Primarily, Sands is claimed as one of the foremost symbols of mainstream Sinn Fein, whose leader, Gerry Adams, was imprisoned with him in the Maze prison in the 1970s. A large mural of Sands is emblazoned on the wall of Sinn Fein headquarters on Belfast's Falls Road, and he has been commemorated every year since his death. Sands is also claimed by dissident republicans who make up the breakaway Real IRA and its tiny political wing, the 32-county Sovereignty Movement. Although the Adams-led republican movement is more influential than the dissidents, they have the advantage of having his sister, Bernadette Sands-McKevitt, as a prominent member. She argues that Adams has sold out republican principles. She declared: "Peace is not what our people fought for. They fought for independence." Her husband, Michael McKevitt, is behind bars for attempting to put this into practice, serving a 20-year sentence for terrorist offences. He and other alleged leaders of the Real IRA are being pursued in a civil action by relatives of those killed in the 1998 Omagh bombing. But the majority of the republican movement regards Sands as playing an important early part in the peace process. When the IRA declared last year that it was going out of business it nominated Seanna Walsh, who had been a cellmate and friend of Sands, to make the announcement. He lauded Sands as a "poet warrior, the indomitable spirit of the republican prisoner". Sands features in an ongoing political dispute, since many unionists oppose the idea of turning the now defunct Maze prison into a sports stadium. This is primarily because they fear it would incorporate a "shrine" to the dead republican. An uncompromising new film that examines the last six weeks in the life of Maze prison hunger striker Bobby Sands has drawn criticism from those who see it is an untimely celebration of the martyrdom of a terrorist. The 96-minute film, Hunger, which has been part-funded by Channel 4, will have its world premiere at the Cannes film festival, which opens on Wednesday. Sands, a member of the IRA jailed for possessing a gun, achieved iconic status for the Irish Republican movement when he died 27 years ago this month in the infamous H-Blocks at Long Kesh after 66 days of hunger strike in protest at prisoners losing their political status. The film is the directorial debut of the Turner Prize-winning British artist Steve McQueen, best known for his recent work for the Imperial War Museum. An official war artist, he produced a provocative series of postage stamps bearing the faces of dead soldiers who had served in Iraq. The artist's first feature film has now placed him in controversial territory once more. 'In Hunger there is no simplistic notion of "hero", or "martyr" or "victim". My intention is to provoke debate in the audience, to challenge our own morality through film,' McQueen said. But Richard O'Rawe, who was the IRA prisoner's press officer at the time when Sands was dying, is not happy about a film that makes the hunger strike an artistic emblem. A former IRA prisoner himself, O'Rawe expressed concern that any life story about his comrade 'did not reflect the narrative of the later peace process'. O'Rawe, whose controversial book on the death fast, Blanketman, claimed that six of Sands' fellow prisoners could have been saved if the republican leadership had accepted a compromise deal from Margaret Thatcher, said: 'Bobby was a left-winger. He did not think a united Ireland was worth it unless it was a socialist Ireland. I know that because he told me inside the H-blocks. Jeffrey Donaldson, the Democratic Unionist MP who had relatives killed by the IRA during the Troubles, was also critical of the subject matter of the film. He said he wished film-makers and writers would take time to 'give a more balanced portrayal of what went on in Northern Ireland'. 'Hopefully one day film-makers will look at the innocent victims, the ones who didn't choose to die and tell their stories instead of focusing all the time on those who had a choice to live or die. I fear this film won't do that, but instead portray what groups like the IRA did in a heroic light,' he said. 'When Jan Younghusband at Channel 4 approached me at the beginning of 2003 there was no Iraq War, no Guantanamo Bay, no Abu Ghraib prison, but as time's gone by the parallels have become apparent. History repeats itself, lots of people have short memories and we need to remember that these kinds of things have happened in Britain,' said McQueen. Films covering the Troubles have attracted controversy at the film festival before. Terry George's Some Mother's Son, in which John Lynch played Bobby Sands, caused anger, while Ken Loach's The Wind that Shakes the Barley won the Palme d'Or at Cannes in 2006. This year's festival, the 61st, runs until 25 May. On Monday, 5 May, the 27th anniversary of the death of republican Hunger Striker Bobby Sands, over 200 people attended a white line picket in memory of the 1981 Hunger Strike leader and former MP for Fermanagh/South Tyrone in his home area of Twinbrook in Belfast. The demonstration on the Stewartstown Road was organised by Colin Sinn Féin and coincided with the launch of a new Sinn Féin cumann in the area – the Rooney/Farrell/Sands Cumann.